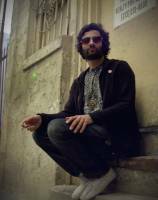 Kutmah was born in the UK to an Egyptian mother and Scottish father. He moved to the US with his mother when he was 12 years old. be able to live in the UK which in their eyes wasn't such a bad place. They denied their application. were urged to sign a document stating they would voluntary leave the US. he was interrogated. On Thursday he was moved to New Mexico. 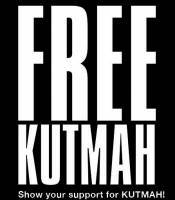 We need to show how important Kutmah is to the LA and US community. Please write a letter and spread the word! Justin McNulty is a highly talented artist, DJ and music producer who is a beloved member of the Los Angeles creative community. For well over a decade he has devoted his substantial skills to the betterment of our community through positive, artistic actions. worldwide acclaim through these efforts based in the United States. he has taken personal action to better our country by inspiring its citizens through progressive cultural outreach. would be a devastating loss to Los Angeles and the American arts.